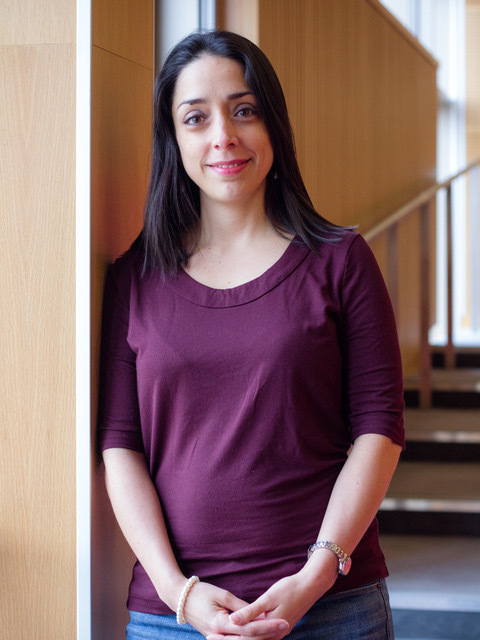 Rebeca Campos-Sanchez is a professor of Molecular Biology and Bioinformatics at the University of Costa Rica since 2005. Her PhD studies took her to The Pennsylvania State University where she worked on genomics and bioinformatics graduating in 2015. With the plan to continue working on genomics on return to Costa Rica, to her surprise bioinformatics was still exclusive to a small group of researchers with previous experience in the field or with strong international collaborators. Her goal since then has been to enlarge the community and consolidate this field by the creation of RedBioAplicada and supporting the Bioinformatics and Systems Biology Masters program. With that in mind Rebeca proposed the project she is currently developing with Cath Brooksbank and the training team at EMBL-EBI as part of the CABANA secondments. The project’s title is ‘Developing data analysis resources for Costa Rica: e-Learning as an alternative and complement to lectures and workshops’. The project started as a local initiative to accelerate the learning process of Costa Rican students using tutorials written in Spanish and to evaluate if the English language is a barrier in the speed of learning. However, the project now has international connotations, the idea is that after testing the tutorials in a group of volunteers with different levels of bioinformatics experience, it will be made available to the Latin American community through the CABANA e-Learning platform. Eventually, the materials will be translated to other languages in the future. The first two tutorials to be published next year will be on transcriptomics using a reference genome and metagenomics applied to the challenge areas Sustainable Food Production and Protection of Biodiversity, respectively. Guillermo Rangel is a Chemical Engineer and Microbiologist from the Universidad de los Andes (Bogota, Colombia), with a Master´s degree in Biological Sciences. During my Master’s degree, I developed a great interest in bacteriophage biology and evolutionary ecology, this led me to pursue a PhD degree on this field. In 2014 I began my PhD at University of Leicester (Leicester, UK) under the supervision of Professor Martha Clokie, undertaking research exploring the diversity of Streptococcus pneumoniae bacteriophages and providing insights into their role in pneumococcal virulence. During my PhD I developed an appreciation for the numerous opportunities that bioinformatics and big data analysis offer to the study of bacteriophage-host interactions at the microbiome level. Viruses lack universally conserved marker genes and therefore require the application of alternative approaches for their taxonomic classification in metagenomic datasets. Previous work conducted by Dr. Alejandro Reyes’s research team at the Universidad de los Andes identified a subset of profile Hidden Markov Models (HMMs) that could serve as taxonomic markers for a wide range of currently known viral clades. My research secondment project, supervised by Dr. Rob Finn (EMBL-EBI) and Dr. Alejandro Reyes, is aimed at assessing the potential profile HMMs have for accurately classifying viral sequences from metagenomic datasets into their corresponding taxonomic clades. The output from this project is intended to contribute to the expansion of the analysis pipeline currently employed by MGnify, the open-source EBI’s metagenomic analysis tool developed by Dr. Rob Finn’s team. César Prada Medina is a Ph.D. student at the University of São Paulo, Brazil, in the Department of Clinical Analysis, School of Pharmaceutical Sciences. After he obtained his Biology BSc, he worked at the Research Center for Tropical Diseases (CINTROP) in Colombia and began pursuing a Systems Biology career. Having merged this goal with his biomedical experience allowed his encounter with Helder Nakaya and his further adhesion to the Computational Systems Biology Laboratory. Currently, his major research goal is to better characterize the physiopathological heterogeneity of the Juvenile Idiopathic Arthritis (JIA) disease. His investigation aims to reveal the leukocyte gene expression programs that drive the chronic inflammation in JIA patients. By combining statistical meta-analysis and network medicine principles, he hopes to contribute to approach a more personalized clinical practice on JIA patients. 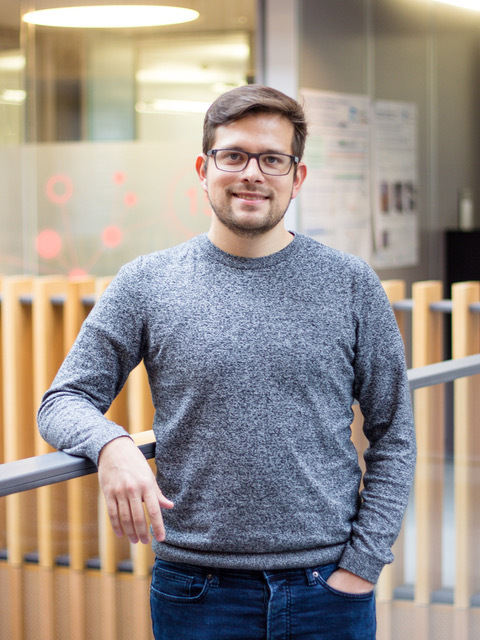 As a CABANA fellow, César is part of the Expression Atlas team where he aims to expand the Expression Atlas repository on JIA and to advance on a personalized prescription model based on patients’ gene expression profiles and inspired on the Open Target approach. 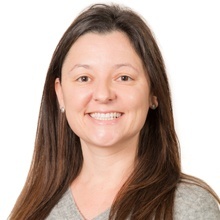 “My time at the EMBL-EBI is also a great opportunity to learn about bioinformatics service standards as well as teaching skills on bioinformatic approaches; and certainly, this time will expand my collaboration network along through my CABANA fellow colleagues”. Valeria Faggioli is a Post-Doctoral student at The National Institute of Agriculture Technologies (INTA), Argentina, in the Department of Soil Science and Crop Production (Marcos Juarez, Cordoba Province). She obtained her BSc in Agronomy, MSc in Soil Fertility, and PhD in Natural Sciences. The goal of her current investigations is to elucidate the impact of agricultural practices in microbial biodiversity studying long-term experiments. Preservation of local biodiversity is a key factor in sustainable production. Agricultural soils can harbour diverse communities of microorganisms providing key ecosystem services such as nutrient cycling, chemistry and structure of soil, and plant productivity. To carry out sustainable agriculture, the understanding of the composition of microbial communities as well as changes induced by human practices demands the generation of experimental evidence. As a CABANA fellow, the aim of her project is to investigate the impact of long-term anthropogenic practices on soil bacterial and fungal communities using high throughput sequencing techniques and MGnify platform for the analysis of sequences in the Rob Finn’s research group at the EBI EMBL. This study pursues a complete taxonomic classification of the existing taxa and it will represent an unprecedented dataset from Latin America. Daniel Koile studied Computer Science at the University of Buenos Aires, Argentina, at the faculty of exact and natural sciences. After his master's degree, he started his PhD in the Bioinformatics Core Facility of the Biomedicine Research Institute of Buenos Aires - CONICET - partner institute of the Max Planck Society (IBioBA-CONICET-MPSP) under the supervision of Dr. Patricio Yankilevich. He has been working there since 2013, his main project being the development of GenIO, a phenotype-genotype analysis web server design to assist clinical genomics researchers and medical doctors in the diagnostic process of rare genetic diseases. 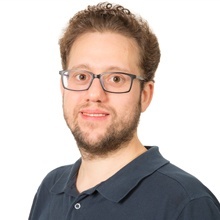 During his CABANA secondment at the EMBL-EBI, he is working in Henning Hermjakob’s team, with Reactome, a free, open-source, curated and peer-reviewed pathway database. His project includes taking part in the curation process of the Reactome database, developing the online training module “Reactome as a Tool for Disease Analysis”, suitable for use in the context of Reactome outreach as well as future CABANA activities, and the feasibility study and posterior integration of Reactome with GenIO, aiming to improve the analysis for candidate genes. Additionally, he considers that being at the EMBL-EBI it is the perfect opportunity for networking to build up to future collaborations, and improving his teaching abilities. Agustin Pardo did his Master’s degree in Biological Sciences at Facultad de Ciencias Exactas y Naturales, Universidad de Buenos Aires. During his Master’s degree he applied a multiomics approach which takes into account structural, metabolic and genomic information with the aim of predicting new molecular targets of the human pathogens. Currently, he is undertaking his Ph.D. at the Facultad de Ciencias Exactas y Naturales, in the department of Biology Chemistry. He has been involved in different projects relating to Bioinformatics. With the aim of expanding the multiomics approach of predicting new molecular targets, he is working with a method that simulates the flow of metabolites through a genome-scale metabolic network reconstruction of Mycobacterium tuberculosis. Metagenomics are among other of his subjects of interest, in which he has been working with 16S sequencing soil samples, analysing it’s phylogenetic diversity with the aim of taking the best decisions to apply bioremediation methods to the sample sources. 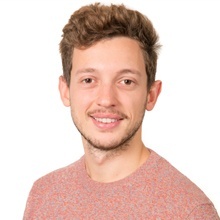 As a CABANA secondee, Agustin is working with the Reactome group leading by Henning Hermjakob at EMBL-EBI. In the Reactome database there are few metabolic human-Mycobacterium tuberculosis interaction pathways. In this context, the project consists of the expansion and update of those Reactome pathways. He has been trained in how to construct pathogens metabolic networks using genomic information, and how to curate and analyse them with bioinformatic tools and bibliographic information. 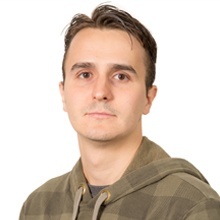 The study is a good opportunity to gain experience and new perspectives in metabolic reconstruction and pathway curation, and he hopes this secondment would be a starting point for further collaborations between the EMBL-EBI and Latin America. 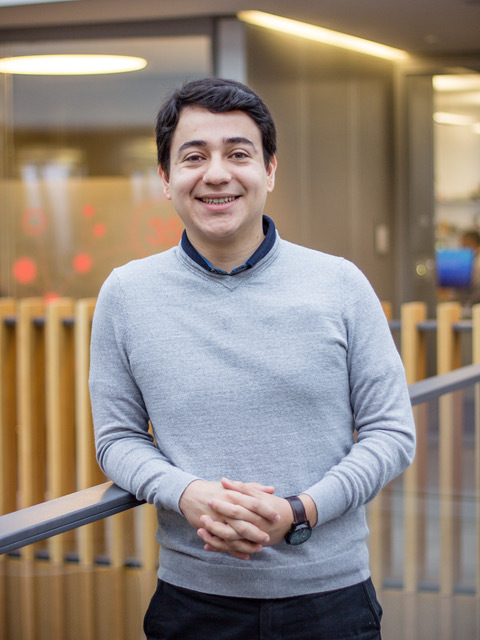 Rodrigo Ochoa is a third year PhD student in Chemical Sciences at the University of Antioquia, Colombia, associated to the Max Planck Tandem Group in Biophysics of Tropical Diseases. 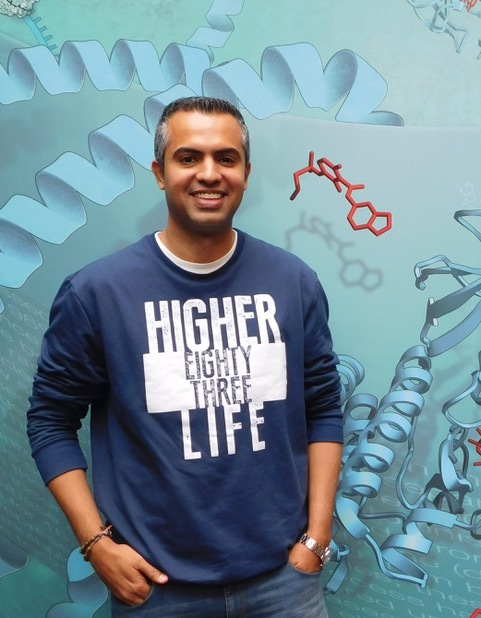 His current research involves the development and application of computational methodologies for the design of high-affinity binding peptides to relevant protein targets. The project involves the use of structural bioinformatics and biophysics simulations to design peptides that can be used as potential vaccines for Neglected Tropical Diseases. During his secondment project at EMBL-EBI, a structural analysis of the binding promiscuity of MHC class II alleles will be followed. A complimentary second part will include the study of some proteases interaction profiles of interest for Dr. Janet Thornton's group at EMBL-EBI, using similar structural and evolutionary tools. For Latin American researchers like Rodrigo, the current tools, databases and expertise of the researchers at EMBL-EBI is a valuable resource for those working on the bioinformatics and computational biology fields. "This is why projects such as CABANA can provide connections with top research labs in Europe and Latin America, improving the competitiveness of the trainees and their research centres. The secondment opportunity will give me novel skills and network opportunities to share my work and contribute to the scientific community. Federico Agustin Vignale is a PhD student at the University of Buenos Aires, Faculty of Exact and Natural Sciences (Argentina), with a Master’s degree in Microbiology and Biotechnology. In 2014, he was awarded as outstanding student of the University of Buenos Aires for receiving the Gold Award and the Best Model Award in the International Genetically Engineered Machine Competition (iGEM), in which he developed an arsenic biosensor for drinking water. In 2015, he continued working in the field of Synthetic Biology, developing artificial cellulosomes for the production of biofuels. Currently, he does research in Microbial Ecology and Bioinformatics, supervised by Dr. Rob Finn (EMBL-EBI) and Dr. Adrian Turjanski (CONICET). As a CABANA research secondee, he aims to characterize Arsenic Metabolism in Microbial Mats and Microbialites from High-Altitude Andean Lakes. The data resulting from this work will hopefully prove a cornerstone for further studies on these extreme Andean microbial ecosystems.